Order or send flowers to Mumbai from Wish A Cupcake and get free home delivery to Mumbai. Looking to send flowers to Mumbai? Wish A Cupcake offers premium quality flowers delivered to your doorstep. Order flowers for delivery across Mumbai. Our home delivery services make it easier than ever for you to buy flowers online. Wish A Cupcake offers one of the best and top quality flowers in Mumbai. Our attention is towards excellence and freshness of flowers. Daily discounts are available on our collection of flowers meant for all occasions and events. You’ll be able to purchase and send flowers online in Mumbai. Place your order now for delivery anywhere in Mumbai! Mumbai is the city of lights that celebrate occasions with great charm and enthusiasm. All the special events such as birthday, wedding, anniversary, are all celebrated with cakes and as no celebration is complete without the cake cutting ceremony. Every special day starts with the cake and the choice of the right cake remains an important thing. People away from the loved ones who live in Mumbai and want to send wishes through a scrumptious cake then you are at the right place. Send cakes to Mumbai from Wish A Cupcake that will leave a delightful impression in the mind of the receiver. We offer a variety of regular cakes such as Chocolate truffle, black forest, vanilla, butterscotch, pineapple and fruit cake at affordable prices. Every state has a new perspective towards an occasion but the essence remains the same all over India. People always love to be engaged and appreciated, so they look after a perfect celebration. Spread love and happiness with Wish A Cupcake in the easiest and most efficient way. All our products are freshly baked with high-quality of ingredients. The mouth-watering taste and eye-catching appearance of the cake will make you eat more and more. You can also share your ideas and suggestions by connecting with our customer support system. Wish A Cupcake understands and care about the emotions behind the occasion and assures certain thing in services like quality and delivery. We have wide numerous options in the cake section like egg-less cakes and heart shaped cakes which can be ordered for same day delivery in Mumbai. The customer can also choose Midnight cake delivery in Mumbai as an option to send cakes to the dearest friend as a surprise. 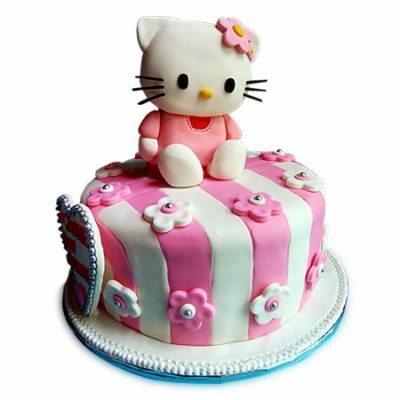 We deliver cakes to 500+ areas in Mumbai. People from Mumbai can also send cakes to other cities in India. Buy and send flowers to Mumbai with Wish A Cupcake. We offer free home delivery of flowers in Mumbai. Feel free to order flowers for birthdays, flowers for weddings, corporate flowers, flowers for anniversary, flowers for parties and special events. Our online flower delivery services ensure same day and midnight flower delivery in Mumbai.